I’d been disappointed that my dad wouldn’t be able to visit me, but with one week’s notice, he told me that he’d found a way. He’d be here in a week for a week. He scrambled to get things in order on his end, and I scrambled to get my life in order over here so that I could host him. 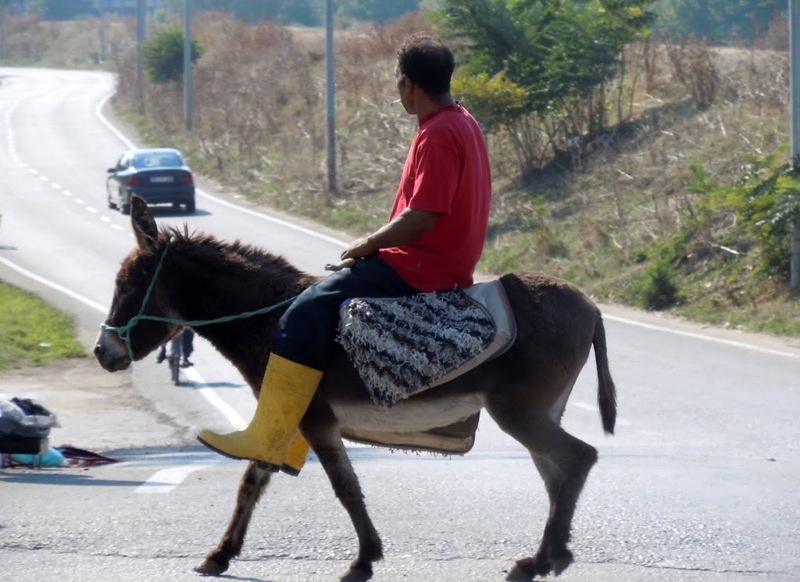 We planned on a weekend in Edirne, which is on the Greek/Bulgarian/Turkish border. Meeting him here in Istanbul was a bit surreal. The last time we were abroad together was back in 2004, and the only time we’ve been in Istanbul together was when I was 8, so I don’t have many memories of that. As much as we talk about, rave about, and read about Istanbul, we’ve never wandered the streets together. 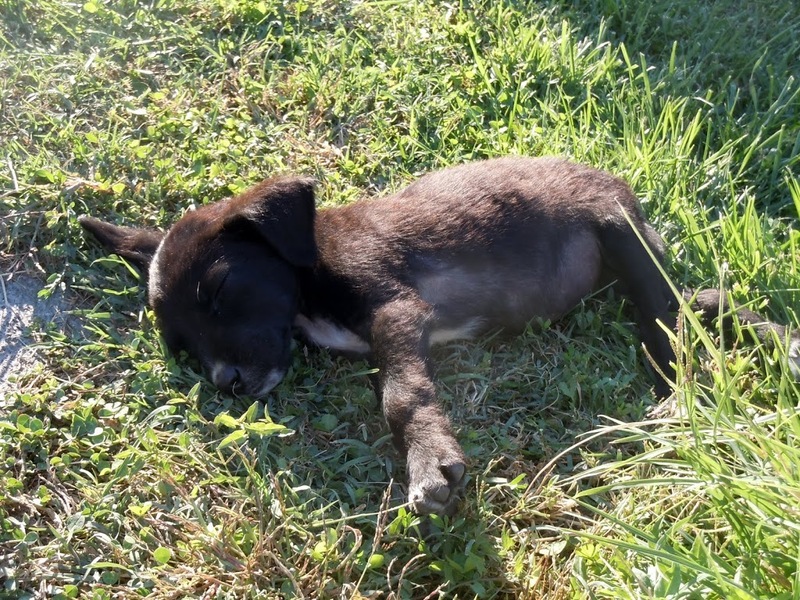 Having him around was great – I could finally learn a few things about this place where I live. Hearing him speaking Turkish to all sorts of people makes me realize just how little I’ve spoken with others in my time in Georgia and my time here. It’s motivated me to pursue private lessons in Turkish. In 2004, before the rest of the crew arrived, we spent a month together in Budapest. Either the first or second weekend we were there, we took a trip to Bratislava that has entered the Howard history books for train trips gone awry. We hoped that our weekend in Edirne would go better; we figured that since we would go by bus, things would be okay. Little did I know, I had been to Edirne before. It’s where the Istanbul/Sofia train stops at 3am at the border crossing, where everyone has to get off and stand in line to get their passports stamped. What makes that train trip so miserable is a brief moment in a lovely little town. Friday after class we met back at my apartment to head over to the bus station, Otogar. Otogar is like that scene in Star Wars IV when they first go to the Death Star: “That’s not a moon, that’s a space station.” It’s not a city, it’s a bus station. Otogar is enormous. It’s probably bigger than Ataturk International Airport. We went to three different Metro bus companies before we found the one that had a bus that went to Edirne. But we got our tickets, had a kebab for sustenance, boarded the bus, and departed for Edirne without problems. I’m not sure that’s ever happened with us Howard folk. 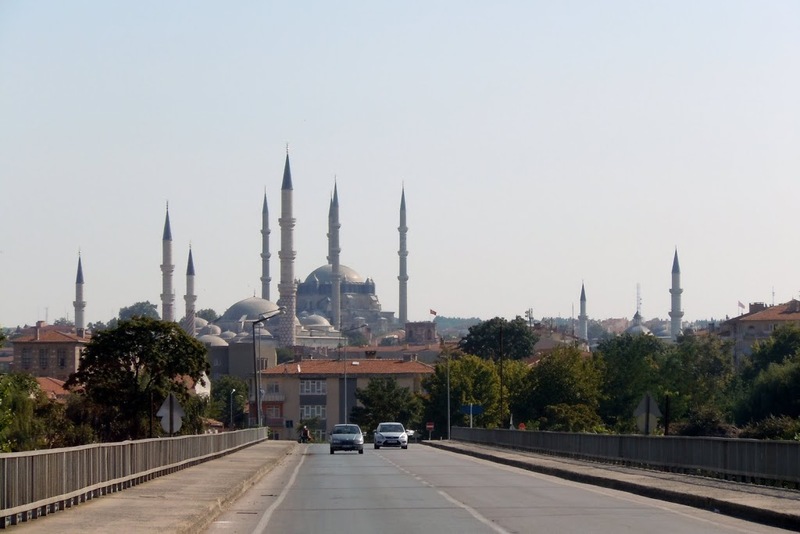 Back in 1982, the parents spent the summer in Istanbul, and had taken a bus trip to Edirne. The Edirne trip had all sorts portals to the past and different trips we Howards have taken and entered our family record book. How different everything is now that 30 years have passed and Turkey is no longer under military rule! They had stayed at the Rustem Pasa Karavanseray, which was very pleasant and cheap. Now, unfortunately, it is expensive and is quite shabby. We stayed at the “Open Eye” Hotel instead. I forget the Turkish name. For the next two days, we explored Edirne Howard-style. Coffee in a nice cafe, walking slowly from mosque to mosque, having another coffee, seeing a few other things, some lunch and more coffee, sitting down to rest, going to find more coffee and looking at a few other old things, etc. I finally had someone who could tell me what was important, names and dates, and explain how the architecture had changed over the years. 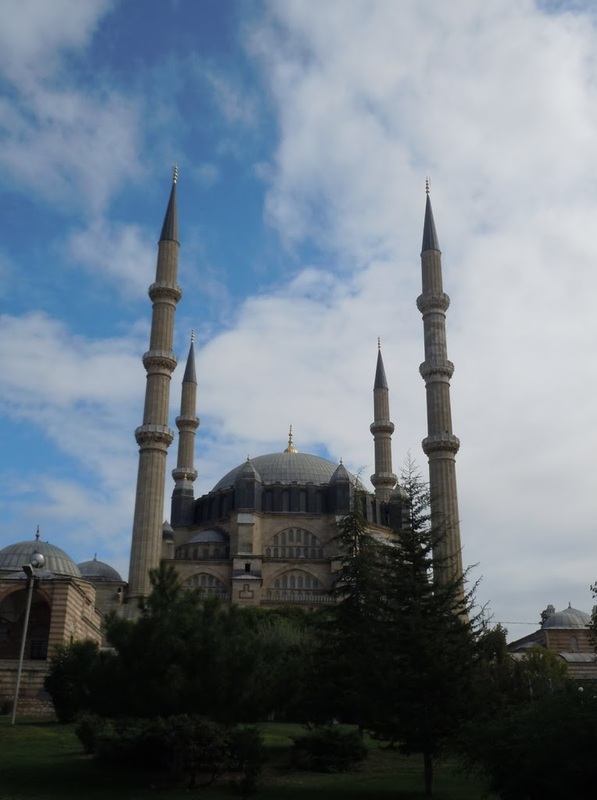 From the Old Mosque (1414), with its nine dome design with the central dome, to the big mosque (1440s), with seven domes and a central dome, to Sinan’s masterpiece in the 1570s where he finally designed a central dome mosque that surpassed Hagia Sophia. One gigantic central dome, and it’s arranged in an octagonal form with no supporting pillars, so he could draw all the minarets in close. I learned so much I felt like I was back in school. 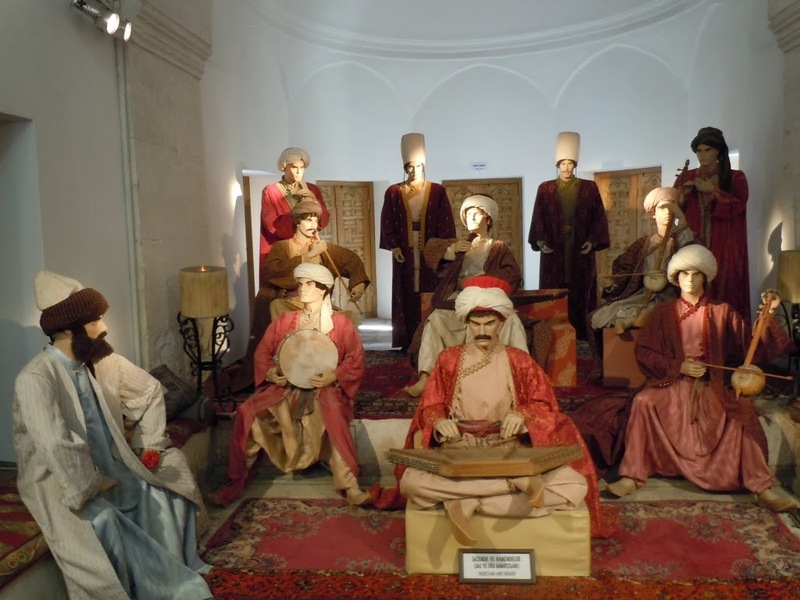 When the lovers, who fell into the love sea of Edirne, increase in number in some rooms during crazy spring time, they are brought to this madhouse upon the order of the doctor, chained to their beds with silver and golden chains and each one lies on his/her bed just like roaring lions. Some of them grumble certain words while watching the pool and the fountain, some others listen to the countless songs of birds in the rose garden, vineyard and melon field around that arched dome and start screaming with the tuneless voice of the mad. In spring time, various flowers such as jasmine, carnation, tulip and hyacinth are given to the patients and by the odor of them patients are healed. However, when these flowers are given to the mad, they either eat or step on them. Some of them watch the fruit trees and grass by crying out various meaningless sounds such as ah daha hel hope pe pohe peko. Well put, Evliya. Man, when I go crazy, I want to be put in that mental institution (as long as they let me read things like Evliya Celebi and Rumi.) 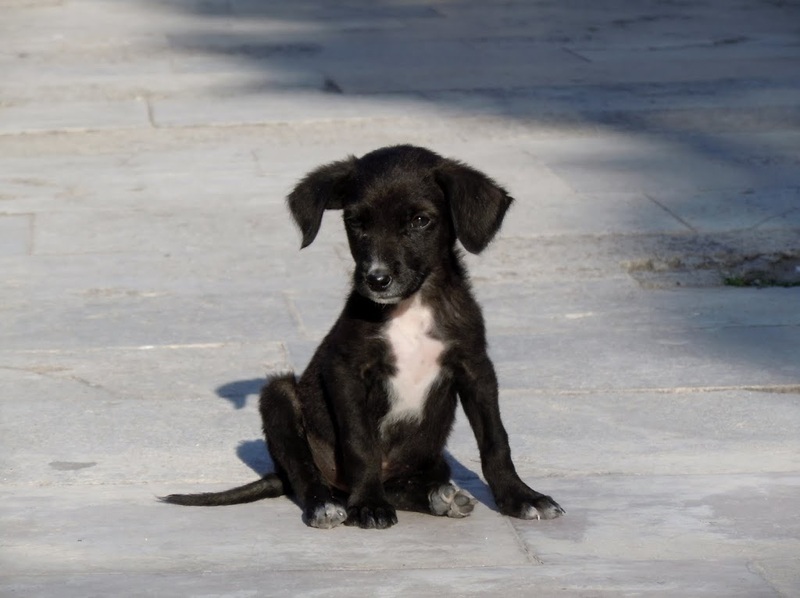 They got to listen to music a few times a week, could go sit by the Tunca river, and there was even a sweet monastery puppy around the place. 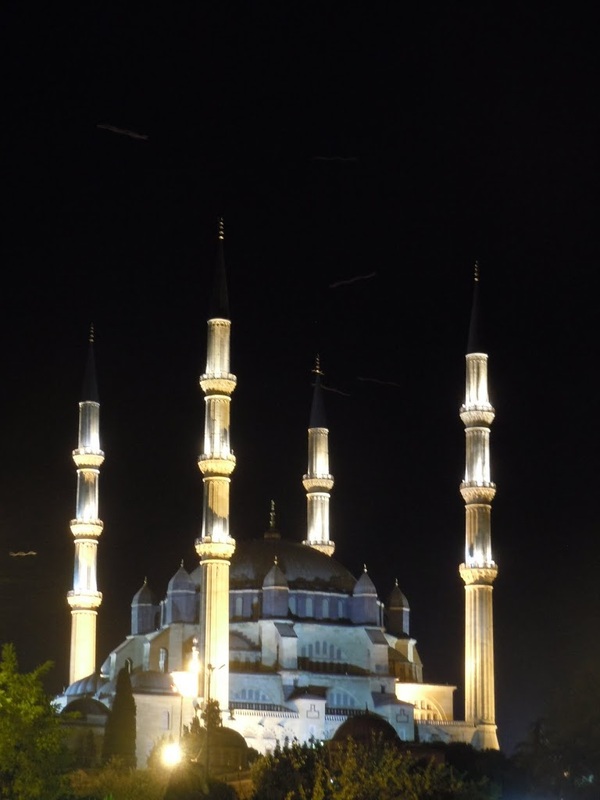 I highly recommend the Beyazid mosque as a prime location for restoring your peace of mind. It has an excellent ambiance. The rest of our time was spent much in the same way. 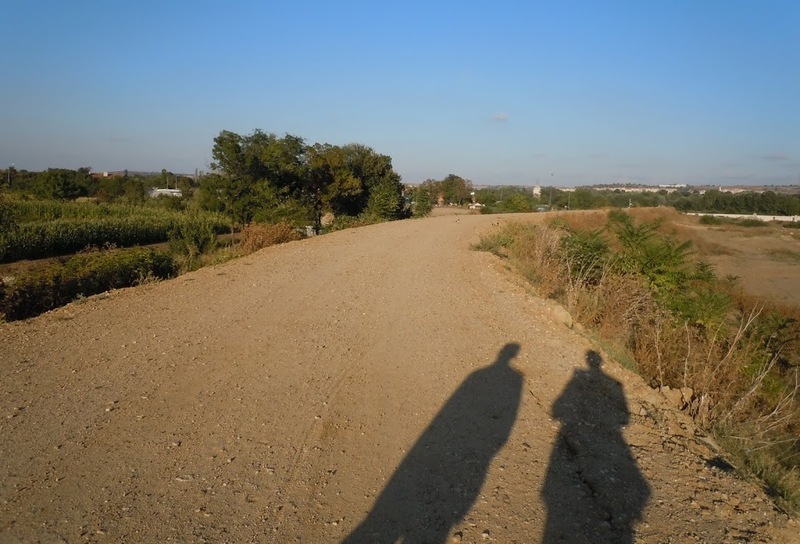 We explored a few of the Ottoman bridges spanning the Tunca and Mehric rivers, and had nice walks down dirt flood roads on the outskirts of town. The scene on Sunday afternoon was great. Old men were napping on the banks of the river, kids were swimming, people were fishing, old men were chatting in cafes. After the constant hustle and bustle of Istanbul, the feeling of general calm which Edirne gives off was refreshing. In a similar fashion, after a few busy weeks by myself, it was nice to have a relaxing weekend of Howard ambiance time. Exploring new places is best done with people with similar traits. A weekend in a small town, seeing the sights and lounging in cafes… it was much needed down time. 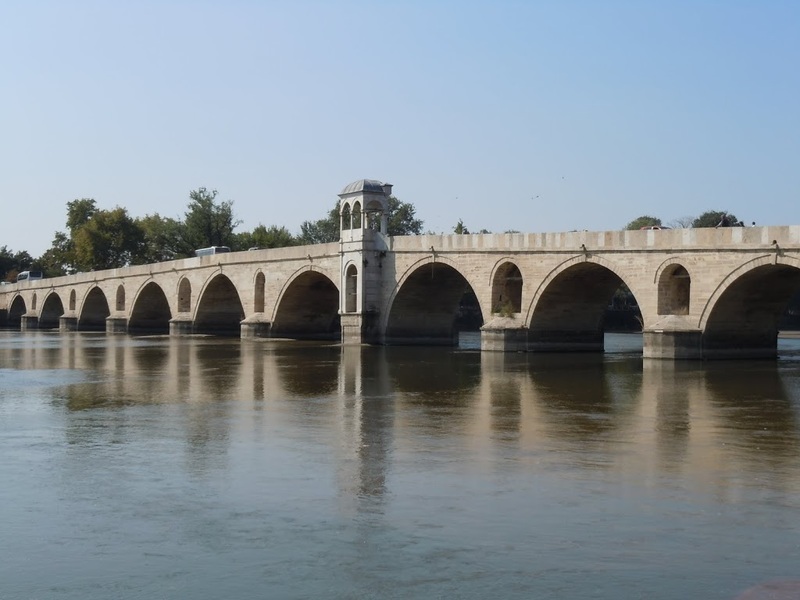 Edirne is a great place for a quiet weekend getaway. 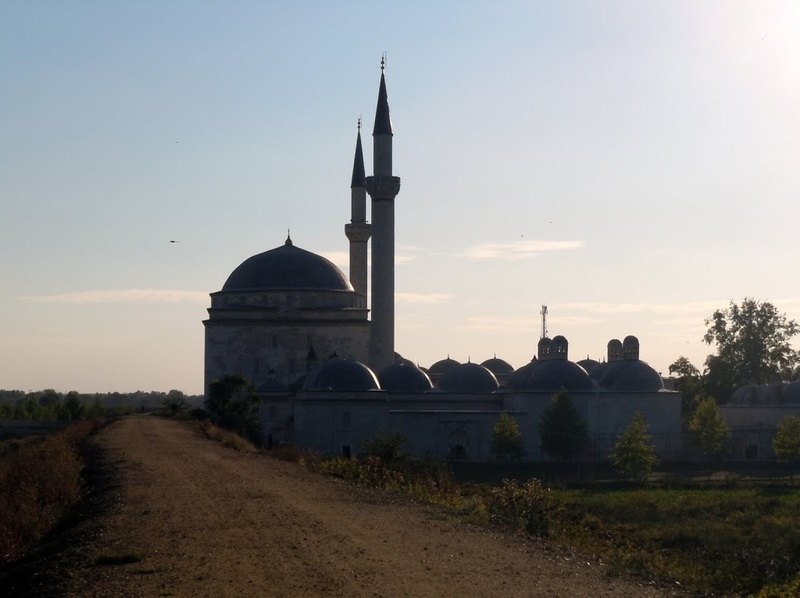 For those who must hurry around everywhere and always have something to do, Edirne might be a little slow, but it’s a fantastic place to enjoy slowness. 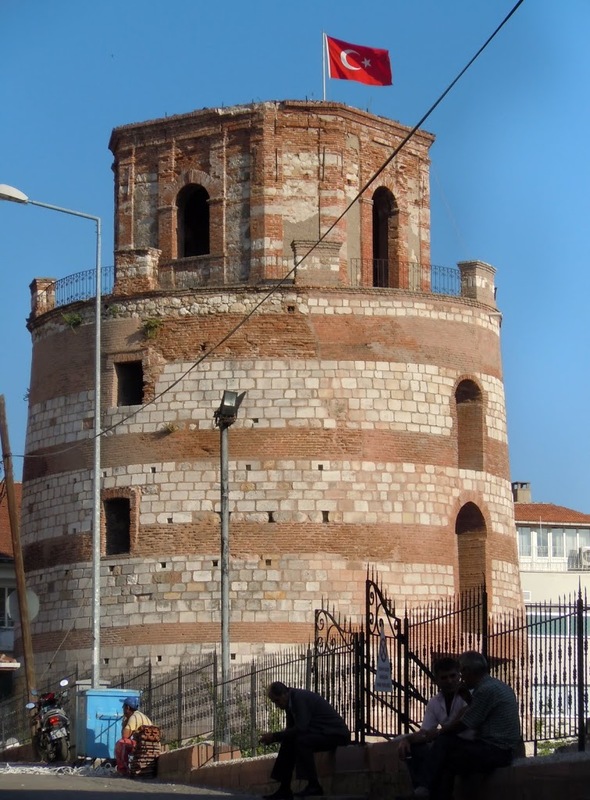 It’s hard to imagine it as an Ottoman capital. The three big mosques are all so close together, the roads so and squares so small and quaint. Wandering along the dirt paths and forests on the outskirts of the city feels like you’re completely elsewhere, but you’re only fifteen minutes away from the center. 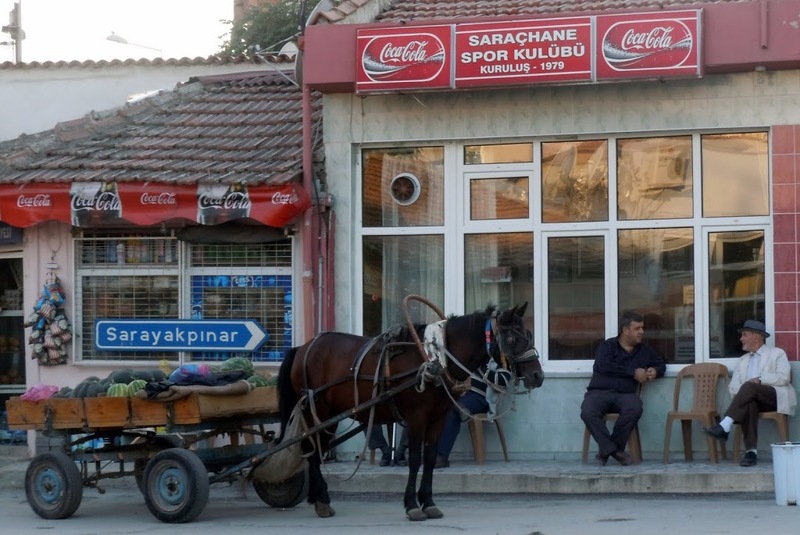 I can see myself making a few trips back to Edirne, when the bustle of Istanbul gets to be too much. 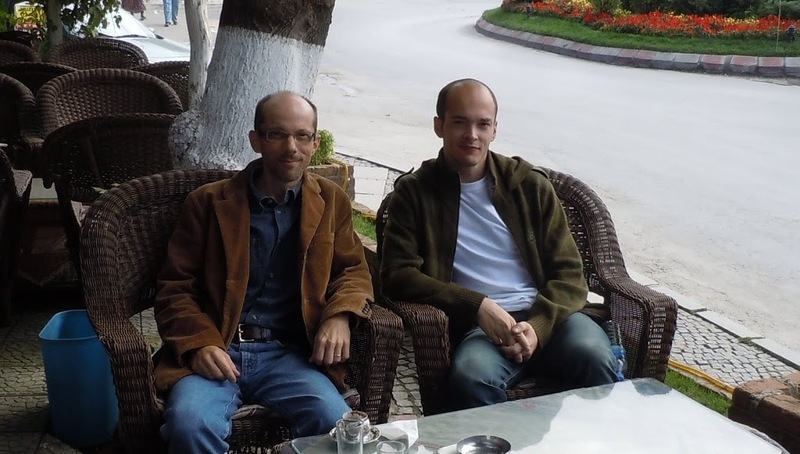 I’ll head back to Edirne and enjoy some peace, quiet, and a dozen cups of Turkish coffee.